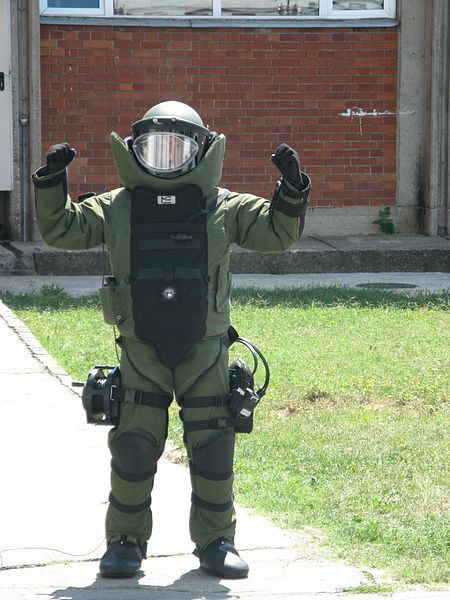 The Cook County Bomb Squad successfully defused a stink bomb at the Idoru bar in Bolingbrook. Sources say the bomb was meant for the Bolingbrook Atheistic Freethinking Skeptical Brights Meetup. Bob, who asked that we not use his full name, claims he discovered the bomb while looking for his daughter. Bob said he reported the bomb to organizer. After Bob talked to the manager, the manager evacuated all the patrons and called the police. After a few hours, the bomb was successfully removed, and detonated safely. Another source provided what she claims is a note left inside the bar. The note was signed by “An atheist going his own way.” The note from the alleged bomber also contained a warning to organizations that make up the atheist movement. Janice C. Perkins, a public relations intern at CFI Chicago, say they will not let this stink bomb threat prevent them form doing their work.